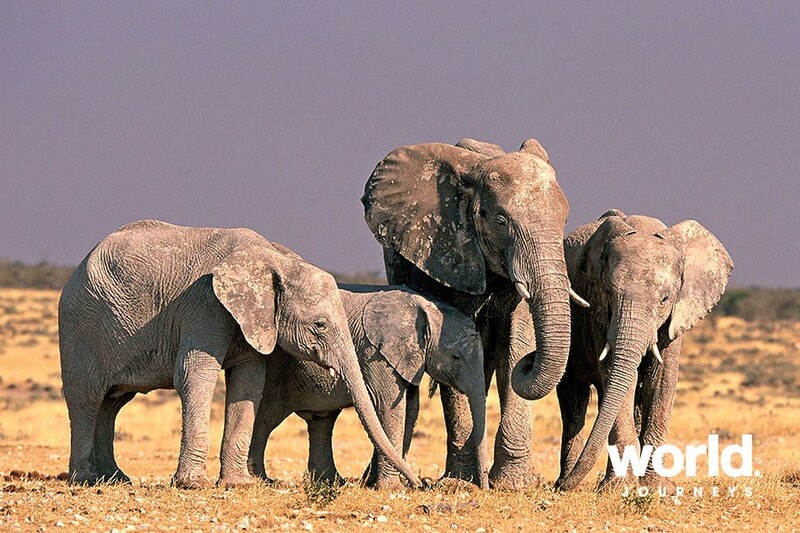 This is a journey for those looking for the ultimate African safari. 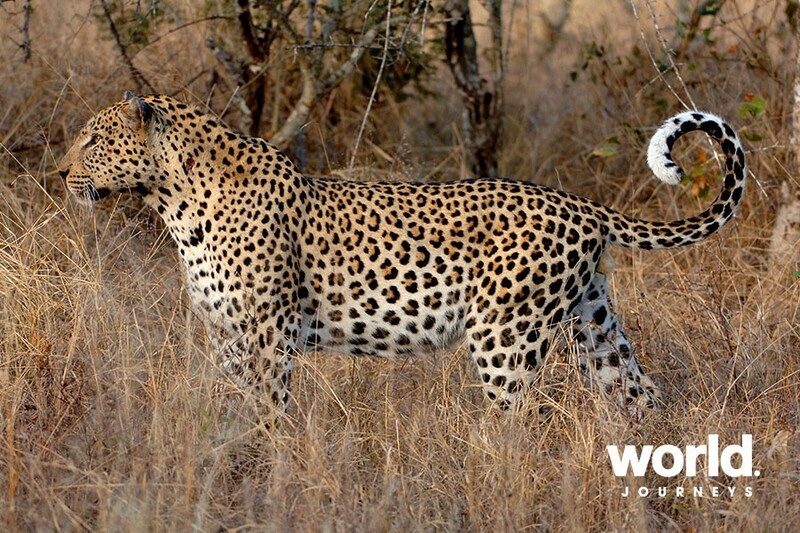 Zambia and Botswana combined offer truly wild experiences including excellent predator viewing in remote and diverse locations. 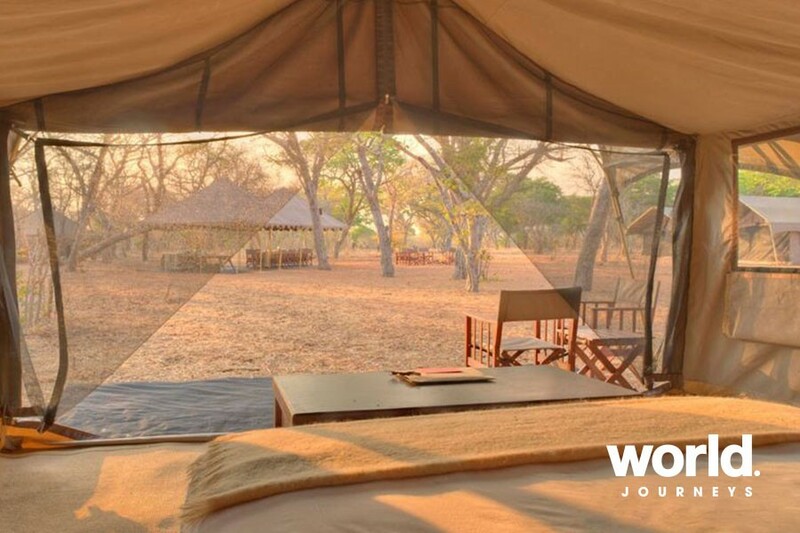 Accommodation is of the very best standard featuring hand-picked lodges and luxury tented camps with personal and friendly service. South Luangwa National Park is a hidden gem, the home of walking safaris and tented camps. 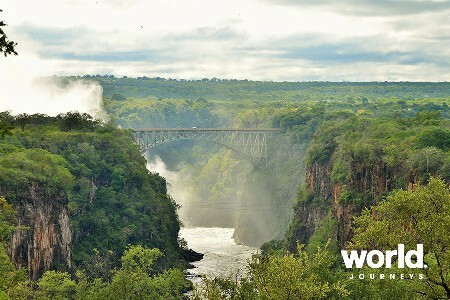 Visit the natural wonder of the Victoria Falls, before travelling to Chobe National Park offering the big five as well as the largest concentration of elephants in one area. 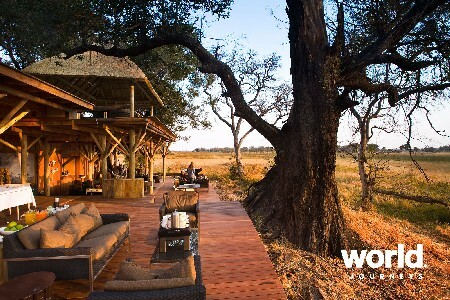 To top off a superb tour, end with five nights at a combination of two exceptional lodges in the Okavango Delta, where daily game drives intersperse with bush breakfasts, 'sundowners' around a waterhole, and special surprises from the staff at your 'home away from home'. You will come home with magical memories and the desire to return again! 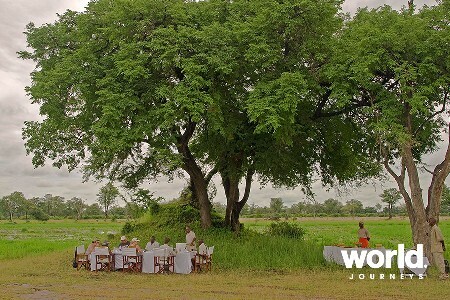 Day 1: Lusaka > South Luangwa National Park Personal meet & greet in Lusaka on arrival. Light aircraft flight to Mfuwe. 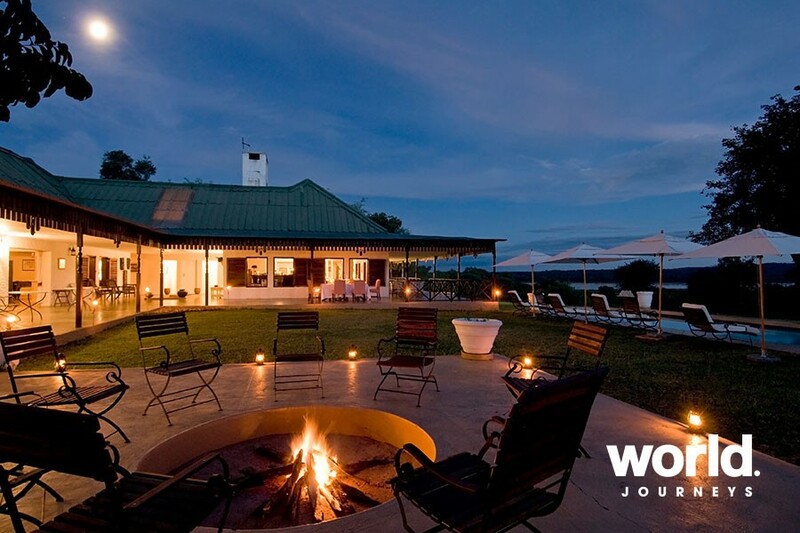 Transfer into the South Luangwa National Park and Chichele Presidential Lodge, staying in this historic hilltop lodge overlooking the sweeping expanse of the valley below. Days 2 & 3: South Luangwa National Park Early morning and sunset game drives in open 4x4 vehicles. 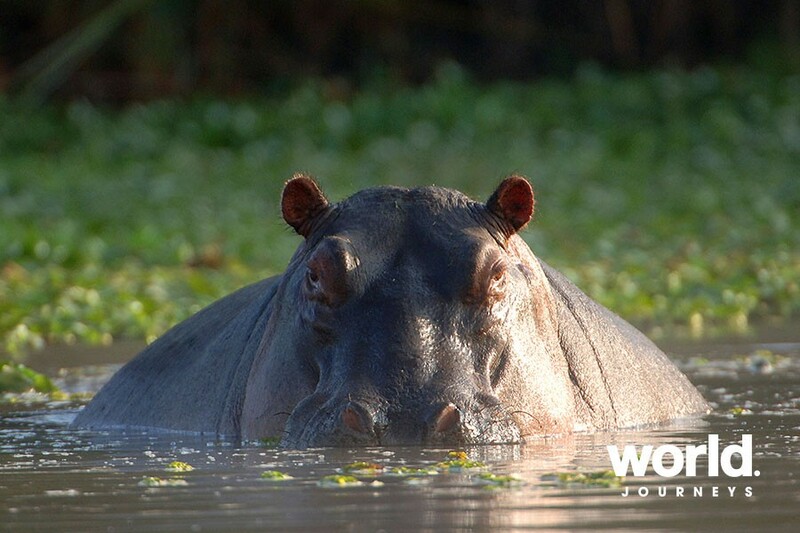 South Luangwa is excellent for spotting leopards and is home to about 15000 elephants and as many hippo. Bush walks with armed rangers. 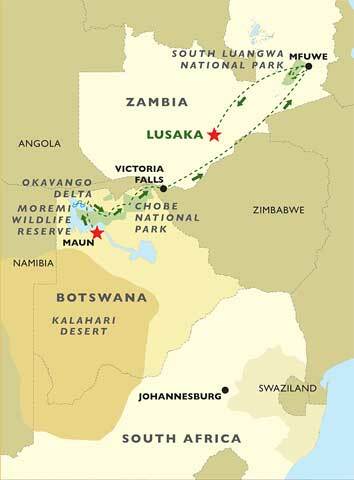 Day 4: South Luangwa National Park > Victoria Falls Fly to Victoria Falls and transfer to your hotel. 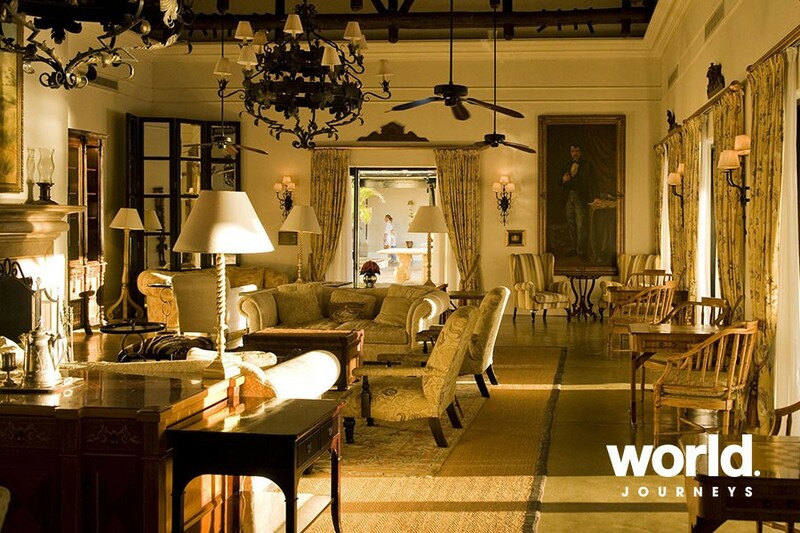 Stay at the colonial-style Royal Livingstone Hotel on the Zambian side of the falls, with landscaped grounds stretching right to the falls edge, a 'sunset drinks' floating platform and large swimming pool. 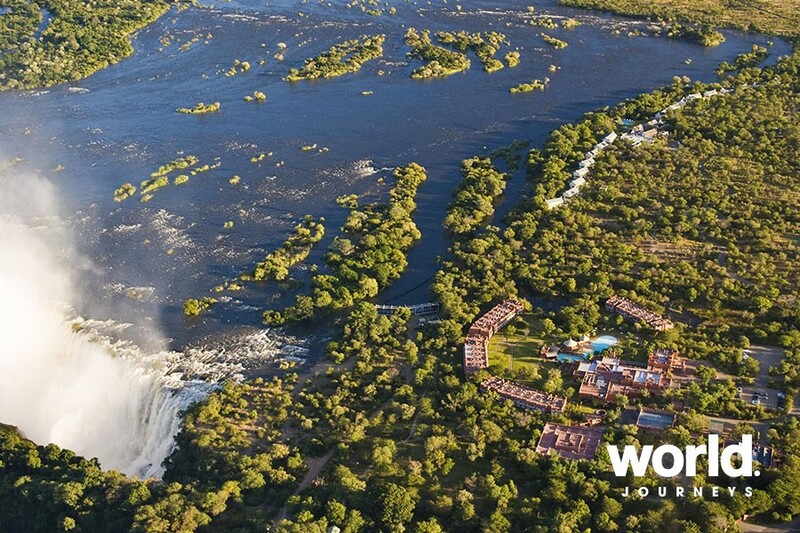 You can tour the Zambian side of the falls at your leisure directly from your hotel. Day 5: Victoria Falls Guided tour of the Victoria Falls from the Zimbabwe side. Day 6: Victoria Falls > Chobe National Park Transfer by road and boat to Kasane where you will be met and transferred to Chobe Under Canvas. Enjoy two days at the fully serviced wilderness campsite. 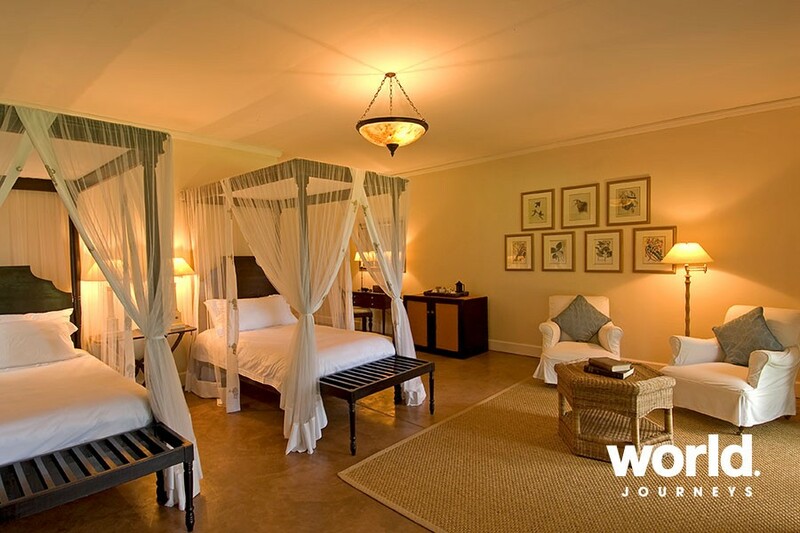 Your spacious East African safari tent offers comfortable beds, teak furniture, bedside lamps and en suite facilities. Game drives in open 4x4 vehicles with guaranteed window seats and uninterrupted views. 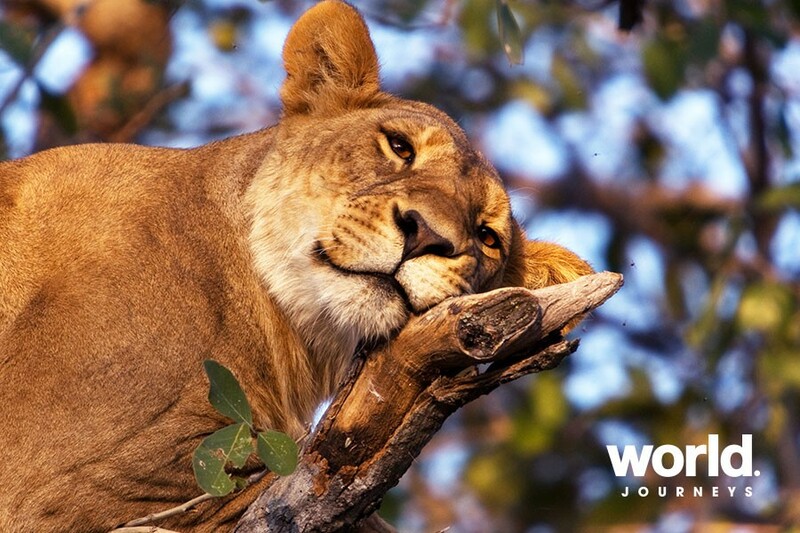 Day 7: Chobe National Park Morning and afternoon game drives offer the best opportunity to spot the Big Five. 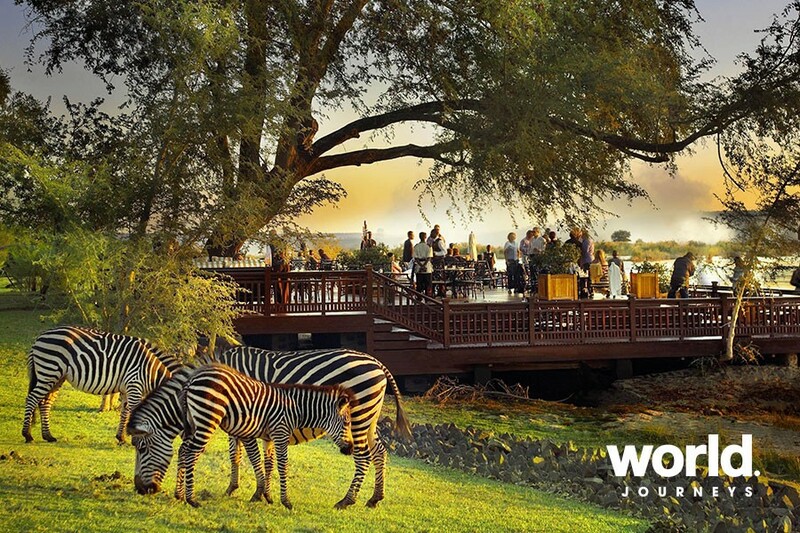 A boat cruise on the Zambezi River could reveal a myriad of wildlife drawn to the water to drink. 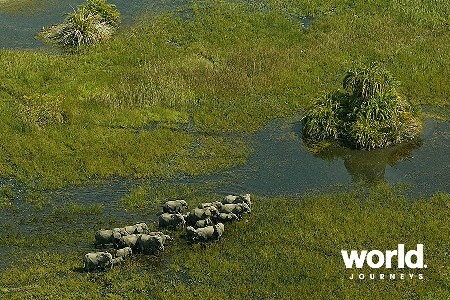 Day 8: Chobe National Park > Okavango Delta Light aircraft flight into the Okavango Delta, a maze of lagoons and waterways within a desert. 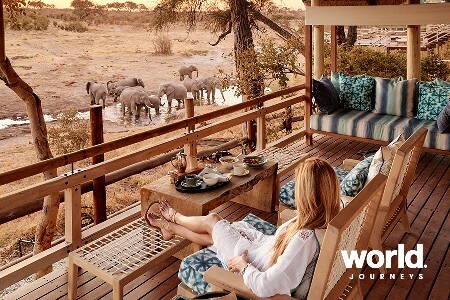 Experience 3 nights at Nxabega Okavango Tented Camp and 2 nights at Xaranna Okavango Delta Camp or Xudum Okavango Delta Lodge. 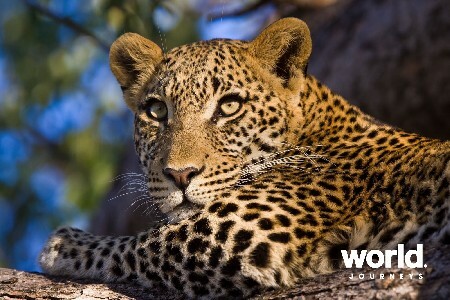 Days 9-12: Okavango Delta Game drives in open 4x4 vehicles. Mokoro (dug-out canoe) trips within the waterways. 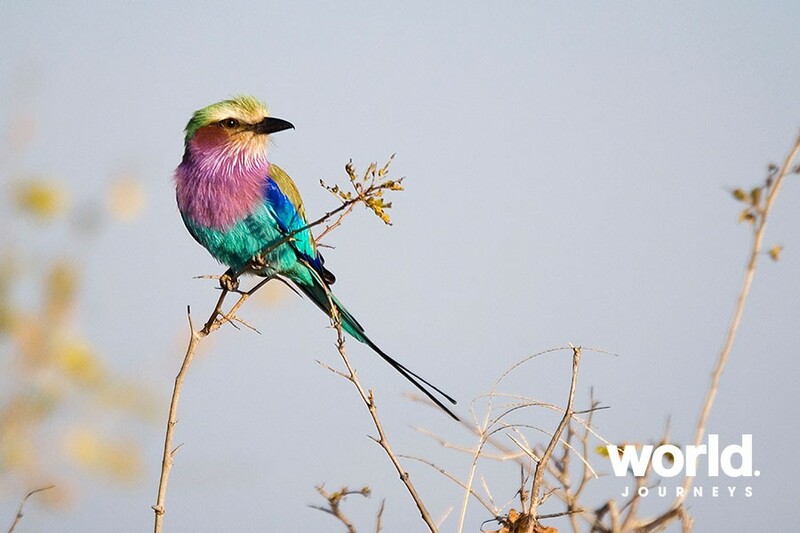 Bush walks, bird watching and bush breakfasts. Day 13: Okavango Delta > Maun Light aircraft flight to Maun to connect to your international flights. The baggage allowance on scheduled charter flights is restricted to 20kgs in Southern Africa (including hand luggage) in soft bags, plus a reasonable amount of photographic/video equipment. Should dates cross over the seasons, then pricing will be subject to revision. Subject to flight schedule fluctuations. Itinerary is quoted based on minimum two adults travelling. For single travel solo rates, please enquire.